Sam Houston State University and Huntsville community citizens are invited to join in one of Huntsville’s oldest traditions, the March to the Grave, an annual celebration of Gen. Sam Houston’s birthday on March 2. In remembering and honoring Houston, they will gather on the north side of Austin Hall, walk together down University Avenue to Oakwood Cemetery to his grave, just like students at Sam Houston Normal Institute did in 1889. The city of Huntsville will celebrate Houston’s life of service and commitment to Huntsville and commemorate Texas’s Independence in a day of activities planned by local historical societies. Before the march at 10:15 a.m., participants are invited to the Gibbs-Powell Home Walker County Museum at 9:30 a.m. for refreshments hosted by the Walker County Historical Commission. A ceremony will be held at 11 a.m. at the gravesite with a speech by Gregg Cantrell, the current Erma and Ralph Lowe Chair in Texas History at Texas Christian University and Texas history author. Following his presentation, a reservation-only lunch will be held at The Homestead Restaurant at 12:30 p.m. There will also “A Toast to Texas” and birthday cake served at 2 p.m. at the Sam Houston Statue and Visitor’s Center. The keynote event of the day will be a book talk and signing with Texas author James P. Bevill at 7 p.m. at the Sam Houston Memorial Museum’s Katy and Don E. Walker, Sr. Education Center. 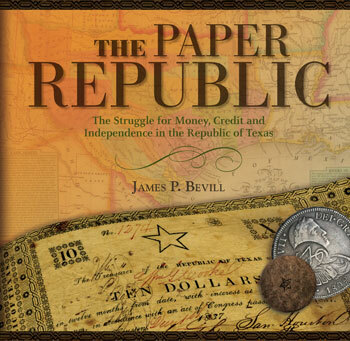 Bevill, who will present a talk on financing the Texas Revolution, is the author of The Paper Republic: The Struggle for Money, Credit and Independence in the Republic of Texas. The March 2nd celebration has been sponsored by the Walker County Historical Commission through a program called “Texas Heritage Days” since 1981. The “March to the Grave” event ended in 1932 due to the Depression, but was resurrected in 2001 by the Walter P. Webb Historical Society.